Free personal use of the "XLarge" and smaller photo sizes are FREE for any personal use (under a Creative Commons license). More free images can found at my free clip art and stock photo blog. 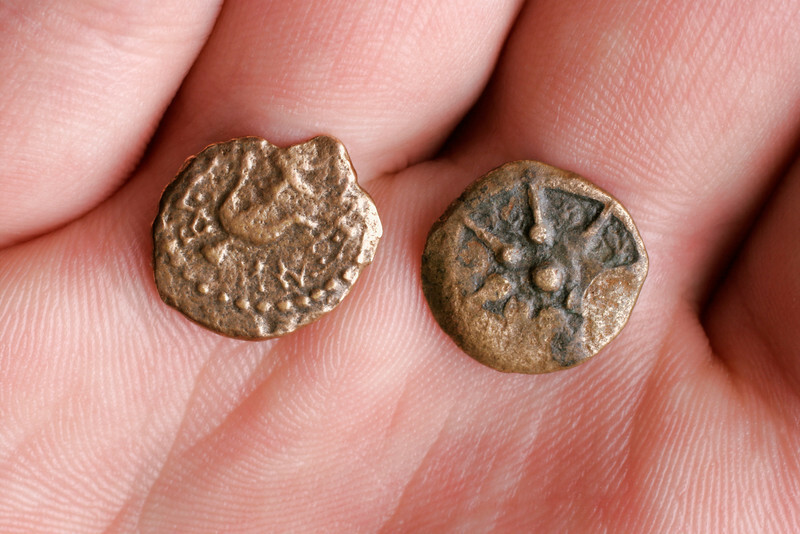 Widow's Mite - Ancient Roman Bronze Coins. These are real, 2000 years old Judean coins. As you can see, they are very small coins. Each was worth about one-fourth of a cent, or one-half of a farthing. The biblical story of the widow's mite appears in the New Testament - Mark 12:41-44. The "XLarge" and smaller photo sizes are FREE for any personal use (under a Creative Commons license). Click the "Buy" or shopping cart button (above the image) to purchase prints or downloads. PRICING: 1-megapixel Personal downloads are $4.95; 4-megapixel and "Original" (8-megapixel) Personal downloads are $49.95; 1-megapixel Commercial downloads are $49.95, 4-megapixel and "Original" (8-megapixel) Commercial downloads are $199.95; NOTE: Free personal use requires a photo credit to my company, ''The Stock Solution'', and link to that Web site if you use the image on a personal Web site.